The Keegan Theatre presents Neil Simon’s classic comedy, The Sunshine Boys, opening September 28 at the Andrew Keegan Theatre in Washington, DC. The Sunshine Boys reunites Keegan company members Timothy H. Lynch and Kevin Adams. Michael Innocenti directs, with a cast that features Peter Finnegan, William Aitken, Maria Rizzo, Nello DeBlasio, and Kecia Campbell. The press opening is Tuesday, October 1 at 8:00pm. 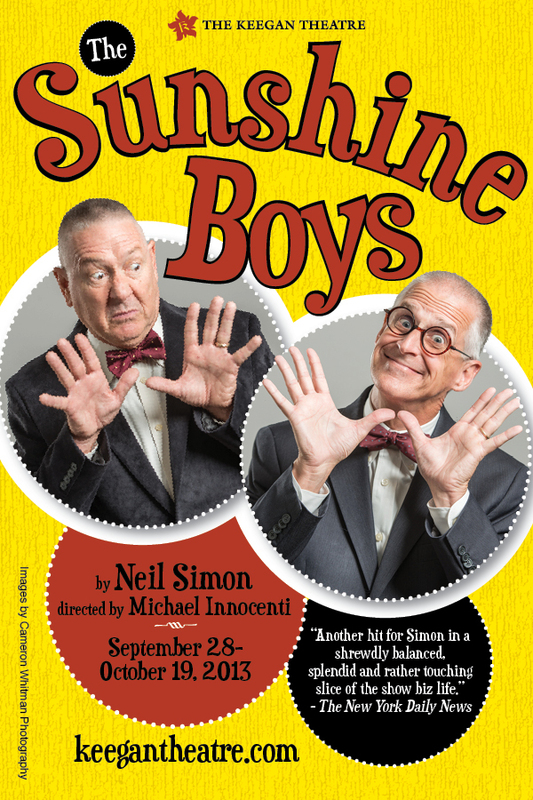 The Sunshine Boys runs through October 19. This is Keegan Theatre’s 17th season in Washington, DC. After purchasing the Church Street Theater earlier this year, the venue was renamed the Andrew Keegan Theatre.